Interview questions that’ll make you stop and think. 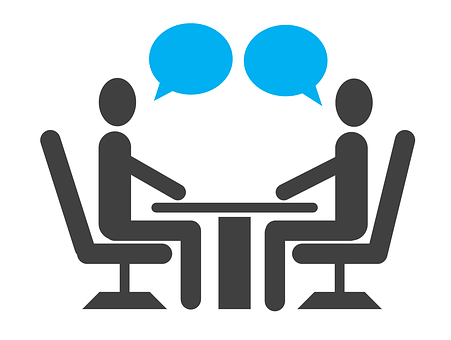 By design, the interview process is flawed. Both interviewer and interviewee want to know what the other is really like. But it’s easy to hide your flaws and make sure only the squeaky-clean best stuff shines through. Though it’s not easy to identify someone’s true character in an interview, you can get pretty close with the right questions. In a recent sponsored post for Quartz, Slack offers a few suggestions. Slack has formulated a list of questions that help their interviewers better get to know their candidates. Their unusual questions also aim to get at the heart of a key personality quality that’s especially difficult to interview for. Question 1: What’s a personal opinion you’ve had and changed in the last year? This question reveals how humble someone is. Even the smartest people must sometimes admit they’re wrong. Can they accept that with new information or insight, they were willing to change their stance on something? How an applicant answers this question also reveals if they’re willing to learn from those around them — and ultimately if they might be a good collaborator in a team environment. Question 2: What’s the best (or worst) piece of advice you’ve gotten? “Where do you see yourself in five years?” is a softball question. It’s far too easy to knock that one out of the park. You can say almost anything and come off as brilliant, motivated and accomplished. Because the future hasn’t happened yet! Instead of asking applicants to make up accomplishments for their ideal future, this question is particularly telling because it asks people to reflect on the past. How someone has adopted, changed and grown over their career can reveal how they might do so in the future. The topic of privilege can be a tricky one. Many people have it. Many people feel uncomfortable about it. It can tough to admit that you’ve had advantages that contributed to your success. But if someone can be honest about the place of privilege they’ve come from, they’re already ions ahead of an applicant who won’t acknowledge it. How someone answers this anecdotal question helps to reveal if they have humility — or if they don’t. What about you? How would you answer these questions? And if you’re on the other side of the interviewing table, would you consider asking these questions to applicants?